Kevin Walters has been left a shattered man after missing out on the Broncos job. KEVIN Walters dreamt of coaching the Brisbane Broncos. Now that such a scenario appears a fast-fading mirage, Walters should set his sights on the position he should have chased in the first place - coaching the Gold Coast Titans. 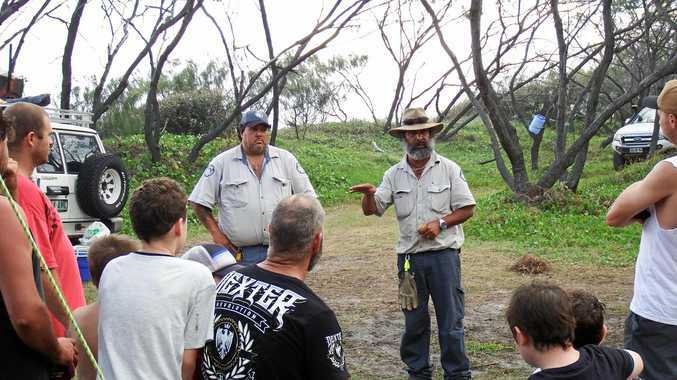 Brisbane's decision to pursue Anthony Seibold as Wayne Bennett's successor has left Walters a shattered man not because of any egotistical air of self-entitlement, but rather the private machinations that suggested Kevvie was the next cab off the rank at Red Hill. Walters, the boy taken out of Ipswich who has never lost his common Ipswich touch, is too humble to make unrealistic demands. He never demanded to succeed Bennett. It was only ever a burning ambition - and one that powerful forces at the Broncos were seemingly prepared to turn into a reality. When Walters returned to the Broncos on October 23, 2017 as an assistant to Bennett, the pieces were falling into place. Nothing is ever set in stone, especially in the high-octane soap opera that is the National Rugby League, but when Walters walked into Brisbane's new $27 million high-performance centre, the succession plan was gathering steam. 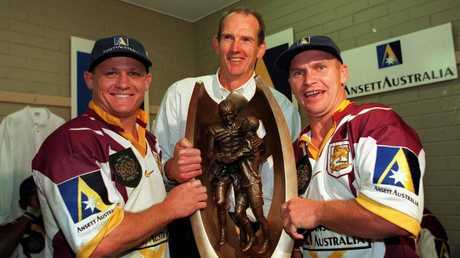 Kevin Walters, Wayne Bennett and Allan Langer celebrate after winning the 1998 premiership with the Brisbane Broncos. Privately, Walters received important information, albeit informal, from an internal source. Beyond Bennett, he was the future at Red Hill. No contract was ever signed. There was no handshake deal. Just a quiet understanding that if Walters played his cards right, he would, more likely than not, be the head coach of his beloved Broncos in 2020. To understand how the fairytale fell apart, and why Walters today finds himself unwanted by the Broncos club for whom he won five premierships and spilled blood, you have to spool back to events of the past 12 months. 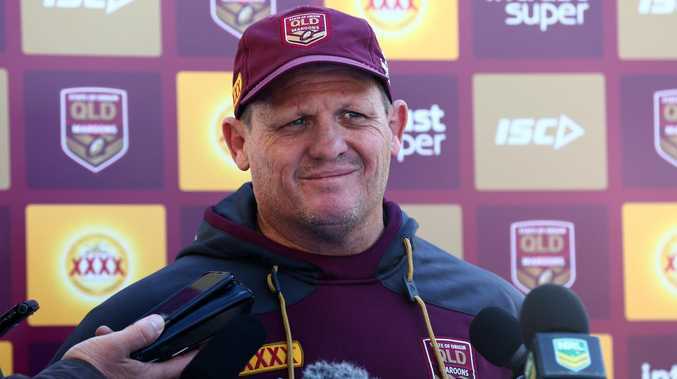 This time last year, Brisbane's Queensland derby rivals, the Titans, announced a new coach, Garth Brennan, after parting ways with Neil Henry. For more than a month, a Titans subcommittee sifted through a raft of candidates, with more than 20 applications lobbing on the desk of CEO Graham Annesley as the public chorus grew louder for Walters to apply. When Kevin Walters stepped in as an assistant to Wayne Bennett it looked as though his future would be as the head coach of the Broncos. 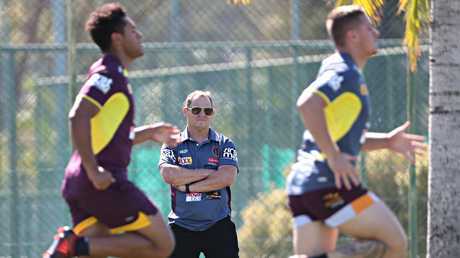 As reigning Queensland Origin coach, Walters weighed up the merits of attempting to launch his NRL coaching career with the Titans. Finally, in his heart, Walters made his mind up. He was ready to put together a resume applying for the Titans gig. Annesley never received the Walters resume. There is no guarantee Walters would have clinched the Titans post - Brennan may well have ousted him anyway - but you have to be in it to win it ... and Kevvie was out from the start. At the very time the Titans were jettisoning Henry, Walters had put out feelers to return to the Broncos and in the course of conversations, he mentioned his interest in exploring the newly-vacated Gold Coast post. Again, the word came back. Sit tight Kevvie. Forget the Titans. Your time at the Broncos will come. So Walters held his nerve, more than content with the Queensland Origin job and his role as Brisbane's attack coach for the 2018 season. Then, in April, came the bombshell. Walters had suddenly quit the Broncos. Publicly, Walters said it was vital he focused on State of Origin duties. Privately, his ideas at the Broncos, such as training with a harder edge, like the Melbourne Storm, had met resistance, so Walters walked. In his mind, he had outgrown being an assistant. And in that moment of resignation, Walters lost men of influence at the Broncos. The Broncos cards Walters simply had to hold - and play well - had been marked. The Titans now represent his future. Brennan is contracted for 2019 but if the Titans fail to make the playoffs, he becomes a free agent and the Coast will have to decide whether to pull the trigger. If they do, Walters must not dither again. If he plays his next round of cards right, Kevvie can write a new fairytale - the Queensland icon arriving to ignite the Titans, hurtling headlong into a Broncos club that strangely fell out of love with one of their own.